We are a committed manufacturer and supplier for Simultaneous Interpretation System. Offered product is rated high in industry for its efficient working and trouble free maintenance. 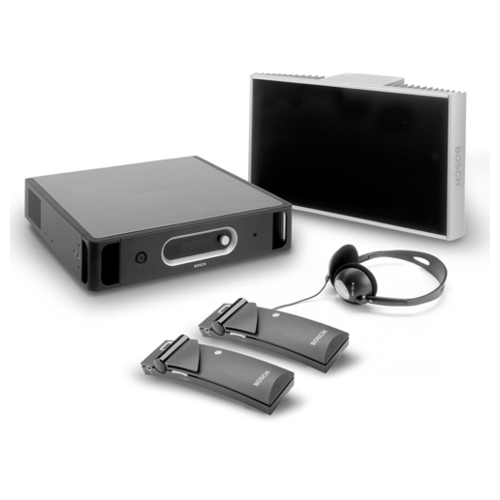 The Integrus fully digital infrared language distribution system has been specifically designed for multilingual conferences and meetings to enable delegates to understand what is being said. Simultaneous interpretation of presentations and speeches in the delegate's own language is transmitted to a pocket receiver and headphones. Because it is an infrared system, conference or meeting participants can move freely around the location while still being able to follow proceedings. The system is highly flexible and offers exceptional audio quality, making it ideal for conference centres and international organizations, no matter whatever is the size of the event or venue. As a result, it has become the infrared language distribution system of choice for event organizers. Attractive and ergonomic design Integrals receivers boast a sleek, modern and ergonomic design. The receiver's shape means it fits easily into a pocket and is comfortable to carry. The buttons are ergonomically positioned for easy use. Freedom of movement Large international conferences and meetings often involve a substantial public attendance and a variety of nationalities, all of whom need to understand what is being discussed in details. Translation India provides RF Digital Simultaneous Interpretation Equipments for simultaneous translation purpose along with its dedicated transmitters. This receiver works fabulously in all areas, no matter where you are - indoor, outdoor or in fields. There are no limitations for listening FM based simultaneously translated frequencies. We have more than 20,000 receivers of this kind. These wideband translation receivers headsets have 40 channels. The listener can use the channel selector knob to choose a program of his choice. It is completely fielding tuneable and comes with a handy wrist strap that allows hands-free use. A red "ON" indicator light reminds listeners to turn the receiver off after use. These receivers come with a both AAA and AA battery operates options and has a mini-earphone. It has a memory recall option, which allows storing and access desired tuned frequencies to avoid keep tuning again and again. 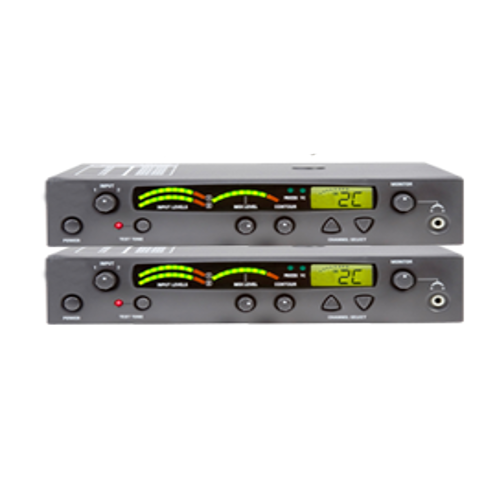 These receivers provide clear CD quality audio and are digitally synthesized controlled for rock solid tuning. Few of its other characteristics include LED power and low battery indicator, integral volume on/off control, channel selection knob and earphone jack. It can operate for up to 50 hours using 2 AA alkaline batteries. If AA rechargeable batteries are used then 12 units can be charged simultaneously with an optional multi-charger. Looking for “Simultaneous Interpretation Equipment”?